Apple released its Q2 2012 earnings on April 24th. The company sold over 35 million iPhones in this last quarter, down from 37 million iPhones in Q1 of this year (Q1 report). Apple sold over 11 million iPads, as well as more than 7 million iPods, and 4 million Macs. 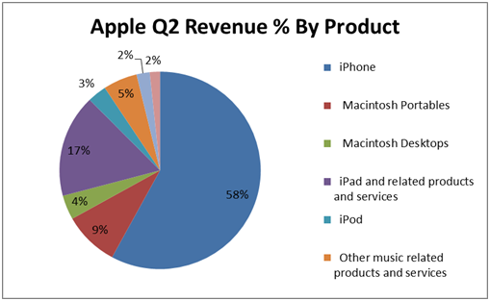 The sales have decreased a bit from last quarter's earnings, but Apple is certainly still growing. What do you think? What are next quarter's earnings going to look like?